Una Voce Miami has produced a reflection on the Second Vatican Council entitled, Vatican Council II: A bridge that unites or a wedge that divides? One my Facebook friends asked for my thoughts on the statement and solicited input on how it might be improved. In looking it over, it occurred to me that it might be instructive for some readers if I answered with a post on the blog. Below I will include portions of the Reflection in bold, with my suggestions as to how the statement might be better worded in italics. The council did not define or reformulate any question of faith or of revealed truth; it merely proposed pastoral suggestions relying, when it came to doctrinal matters, almost entirely on the perennial Magisterium of the Church. While it is true that the Council did not formally define or reformulate doctrine (indeed, it neither had nor claimed the authority to do so), it most certainly did set forth propositions that amount to a reformulation of the faith such as it had perennially been taught and understood to that point; e.g., with respect to the salvific nature of the heretical communities, the Church’s relationship with the Jews, the right to religious freedom, etc. Clearly, the Council overstepped its bounds. For this reason, I believe it is better to keep the statement focused on the Council’s stated purpose and what it was actually authorized to do (i.e., the bounds themselves) rather than to mount what ends up being an inadvertent quasi-defense of the Council’s behavior. The Council was not given a mandate to define or reformulate any question of faith or of revealed truth. In matters doctrinal, it was called to, and indeed had an obligation to, rely entirely on the perennial Magisterium of the Church. I would avoid citing the Council itself (as in the opening sentence of this paragraph) in the matter as it risks inadvertently undermining the point that was previously made in paragraph 2 of the Reflection; namely, that “renowned Catholic scholars, prelates, and theologians” have raised “serious … doctrinally and theologically well-founded objections” to the conciliar text. The same can be said of the Catechism of the Catholic Church, which relies heavily upon the conciliar text and likewise contains objectionable material. As mentioned, the “letter” of the Council is all-too-often irreconcilable with the true Faith. Therefore, Una Voce should avoid lending credence to the notion that the “letter” of the Council is reliable. As for its “spirit,” the history of this phrase is all-too-well-known. It is notoriously ambiguous and entirely subjective, which is precisely why progressives so often profess adherence to it. In truth, the “spirit” of every ecumenical council should be objectively and clearly Catholic. This is not the case with Vatican Council II. Likewise, claiming recourse to “all that the Council represents” is highly problematic. In fact, the examples provided in the Reflection (tolerance, so-called “religious freedom”, respect for conscience and the vaunted “human rights”) are nothing short of condemnable and should be struck. While I understand that the authors of this text are perhaps attempting to highlight the hypocrisy of certain of the Council’s defenders, lending credence to the Council is ultimately counterproductive. The only thing that is truly necessary in addressing the Council is reliance upon “the perennial Magisterium of the Church” as cited in the opening paragraph. Given that the Council proposed no new binding articles of faith, any effort to dogmatically impose the Council upon the faithful in such way as to make of it an obstacle that separates, a wall that divides, or a barrier that excludes those who, precisely because of their fidelity to the perennial Magisterium of the Church, cannot, in good conscience, accept the Council’s novelties, ambiguities and doctrinal deviations, is a grave injustice. There are brothers in the Church who see no errors in the Council, as well as brothers that, without denying the Council’s binding nature, cannot in good conscience accept opinions and suggestions, they believe are in schism with the Church’s Magisterium and Tradition. “The Council’s binding nature” must be struck from the statement; it has no binding nature – this is the central point upon which the entire Reflection stands! Consider that while among such persons there are many who are genuinely confused, mistaken or perhaps just ambivalent, there are also those who “see no errors” because they firmly embrace the falsehoods proposed by the Council; i.e., they are enemies of the true Faith. With this in mind, it would perhaps be better to simply delete the entire sentence. We at Una Voce Miami, fraternally opt to exercise our right and fulfill our obligation to love, understand and respect all our brothers alike, without excluding, marginalizing or discriminating against any brother for his position on the Council. Mindful of the genuine confusion caused by the conciliar text, and the varying opinions among those of good faith, we at Una Voce Miami are committed to fulfilling our obligation to love, understand and show respect to all of our brothers alike. Finally, we reaffirm the great Saint Augustine of Hippo’s wise axiom that should always guide us: “In essentials, unity; in non-essentials, freedom; in all things, charity.” Therefore, in fidelity to the thinking and spirit of the Church, and even of the Council itself, we oppose any side imposing the Council as a “super dogma” or using it as a pretext to divide, or persecute, or to create discord among Catholics otherwise faithful to the Magisterium. It is inopportune to include the quote from St. Augustine here as it doesn’t really apply to the situation being addressed in the Reflection. In fact, it risks giving one the false impression that the objectionable content of the Council somehow concerns matters “non-essential” to authentic unity. This is not the case at all. While there may be occasions where those who hold fast to the perennial Magisterium of the Church in some way mistreat those who embrace the Council’s novelties, the more important point – the one that the Reflection presumably hopes to make – is that the source of division concerns the Council’s deviations from the true Faith. In fidelity to the mind and perennial Magisterium of the Church, we oppose the leveraging Vatican Council II as a pretext to divide, discriminate, persecute, or otherwise create discord among Catholics who sincerely wish to remain faithful. If indeed these thoughts make their way to the good people at Una Voce Miami, it is my hope that they are received in the spirit with which they are offered and somehow prove helpful. My thanks to Judy Meissner for inviting my input. The case can be made that Vatican II was not a true Council. All previous Councils were called to answer some problem concerning the Faith. In other words, previous Councils were doing the work of God. Vatican II was convened on the whim of Pope John. Vatican II was a work of man and we see the results. The problem with that, though, is that “called to answer some problem concerning the Faith” is a fairly nebulous requirement for the ecumenicity of a council, and it is not one traditionally held. It’s more of an ex post facto criticism of Vatican II. The better solution is just to say that it was not meant to be infallible as Pope Paul VI said. I do not believe that V2 was convened on the whim of J23. Pope St. Pius X warned about the Modernists in the Church many years before J23 called the council. The modernists were lurking in the shadows ready to pounce at just the right time. V2 was their vehicle. It was a planned event carefully and expertly manipulated when J23 “opened the windows to the world” in order to usher in a “new springtime”. Now we are seeing (suffering!) the fruits of that springtime and the Church has become as dead as winter. Yes, V2 was the work of man putting man above God. It doesn’t matter what the documents say or don’t say. It is the results that matter. The spirit of V2 was evil and its results are deadly. Una Voce can’t see the forest for the trees. Well said. It was a concerted effort decades in the planning. No, I disagree. It does matter what the documents say or don’t say. Why else do we congregate in this web site. It’s clear as day that there are intrinsic contradictions in the documents of VII and vagaries of meaning in them, and that, therefore, they are not the work of the Holy Spirit. It seems that those who refuse to take a good, hard look at the VII documents are not living up to their baptismal vows of renouncing the vain and empty promises of Satan within those documents, let alone the works that have clearly emanated from them. Alarico, how many Catholics (clerics included) have actually read the documents of Vatican II? My point was that the very obvious consequences of these very vague and misleading documents have altered the Catholic Church so dramatically that it has become unrecognizable. “By the fruits” you will know the intrinsic evil of Vatican II without having to read every word. Thank God, we have Louie and others who have painstakingly taken the time to highlight the sneaky time bombs. In my humble opinion, we are not obligated to take a good, hard look at the documents. The tragic results speak for themselves. We congregate at this web site to share opinions, even if we don’t always agree. That is a good thing. We learn from one another and, of course, unite in prayer that this crisis ends soon. Keep in mind that the second mark of the Catholic Church is holiness. It’s an article of Faith that the Church is holy. That would include all of its teachings, laws, and practices. If a single teaching, law, or practice were not holy, then you know it’s not the Catholic Church. So while a pope may be unholy, he could never promulgate an unholy teaching, law, or practice for the universal Church. Yet, the popes of Vatican 2 have already promulgated things the Church has condemned as unholy, such as a harmful liturgy. Benedict XVI even admitted in his autobiography that the new mass “provoked extremely serious damage to the Church” which is impossible for the true Church, especially in light of Pope Pius XII’s teaching that the liturgy is an untainted source. Altar girls have been condemned repeatedly, but John Paul II has approved them by canon law. The Vatican 2 popes have promulgated several heresies and condemned practices, such as: the heresy of a formally divided Church of Christ, communicatio in sacris with non-Catholics, a civil right to religious liberty, Divine Revelation was completed at the Crucifixion, the Jews are not presented in Scripture as rejected or accursed, deficiencies in the formulation of Church teaching should be put right, etc. I could provide other things, but these suffice. Either sedevacantism is true or the gates of hell have prevailed. Take your pick. Sede’s: We reject the teachings of the apostate Francis because he speaks in contradiction to the infallible deposit of the Faith and is therefore a heretic, and therefore severed from the Church, and therefore obviously not the pope (as a pope HAS to be one with the Church, and therefore Catholic, in order to be a pope). 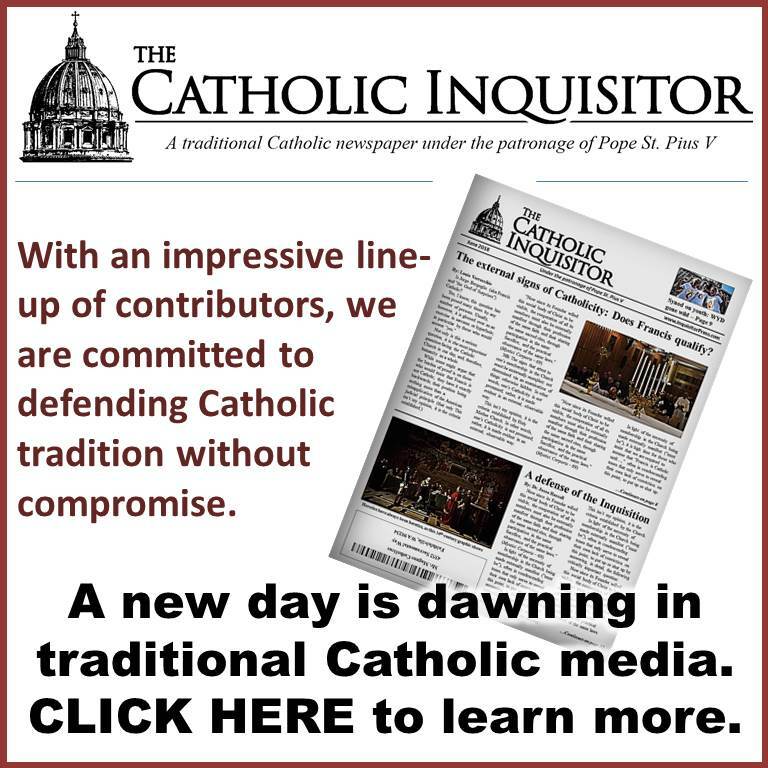 Trad’s: We reject the teachings of the apostate Francis because he speaks in contradiction to the infallible deposit of the Faith….but regardless, he is still the pope. He can deny tomorrow that God even exists, but he will still be the pope. 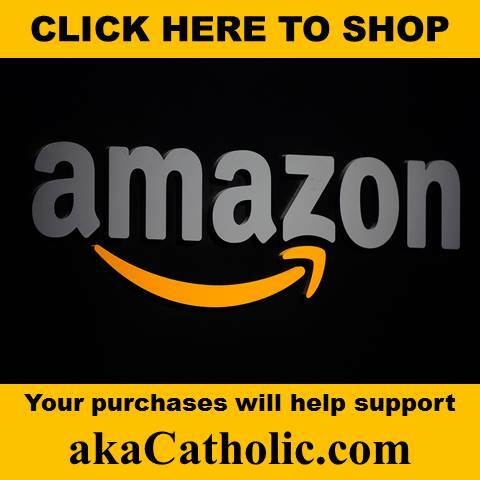 I’m not a Trad or a neo Conservative, I’m just plain Catholic. If you were Cardinal Rich, you’d be in a better position to make a private judgement. I have one question for the Sedes, who’s gonna elect the next Pope??? Words and actions are very easy to judge, you dont have to be a cardinal in order to do it. We on this site (none of us cardinals) judge the actions of the vatican 2 hierarchy on a daily basis. As a layman without any formal religious education, my understanding, Rushintuit, is that the Cardinals elect the Pope, and that in turn, the Popes nominate, assign and appoint Cardinals as “titular” heads of the suburbicarian churches and titular churches in and around Rome. Therefore, as long as the City of Rome exists and there are parishes within and about the City the Rome, there will be a Bishop of Rome, who is the Pope. A-As a layman without any formal religious education, my understanding, Rushintuit, is that the Cardinals elect the Pope, and that in turn, the Popes nominate, assign and appoint Cardinals as “titular” heads of the suburbicarian churches and titular churches in and around Rome. B-Therefore, as long as the City of Rome exists and there are parishes within and about the City the Rome, there will be a Bishop of Rome, who is the Pope. Im likely the most unintelligent person who posts here, and with that being said Im not understanding how paragraph A leads to paragraph B. The possibility of us not having a pope (not counting the interregnum after the death of a pope) has always been known as something that COULD possibly happen. The thought that it WOULD ever happen was extremely doubtful….but the possibility that it COULD has been acknowledged by the Church. Your restatements should form the basis for Vatican III. I don’t think we are supposed to “get” any of this. We are all little and should hope to remain that way. As “little” as we are though, we are directed by Our Mother, in these ominous times, not to try to figure it all out, but to say the Rosary, wear the Brown Scapular, make First Saturday Communions in order to make reparation for the offenses against her Immaculate Heart. There are 5 in particular, hence the 5 consecutive Saturday Communions.etc. So, while I may seem off the subject, I am realizing more and more- it is the only subject that matters. Jeremiah 8:13 When I would gather them, says the Lord, there are no grapes on the vine, nor figs on the fig tree; even the leaves are withered, and what I gave them has passed away from them. As Cortex said above, Fatima is the only subject that matters right now. The above talk is absolutely PHENOMENAL on the subject of Fatima and its importance to our time. 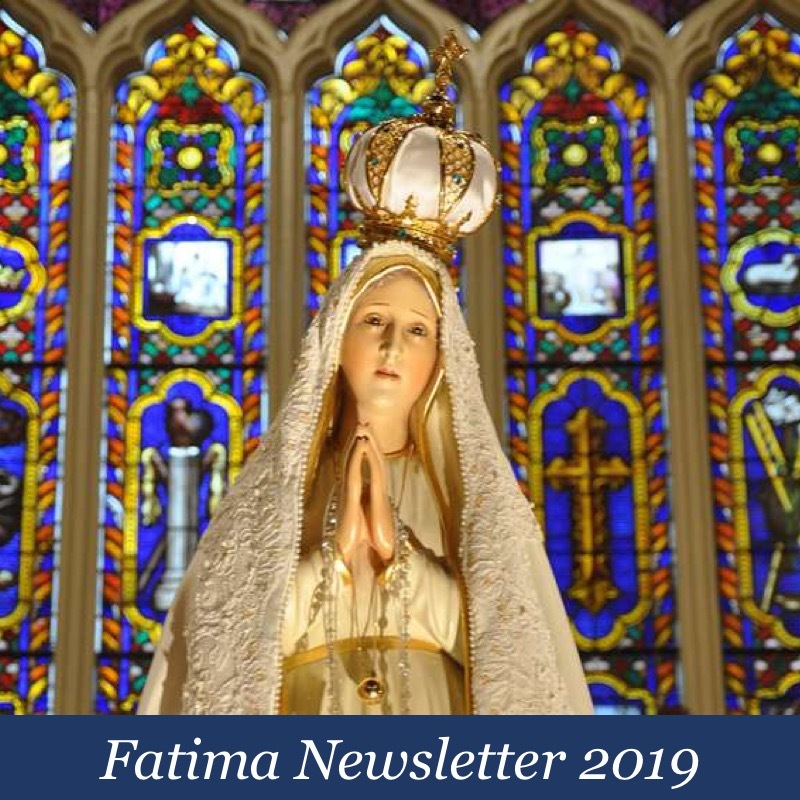 Begin at 12 minutes into the talk to hear the message of Fatima with new insights especially for our times. The priest speaking is Fr. Wolfe, FSSP. The talk is one of the best I have heard. It was just posted 3 days ago. I do believe that a study of history of Vatican I would avail us of much of the purpose of Vatican II. Modernism was swirling throughout the Church as we can note from vision of Leo XIII, and PASCENDI DOMINICI GREGIS of St. Pope Pius X. We read: Discussion of the rest of the document on the nature of the Church was to continue when the bishops returned after a summer break, however, the Franco-Prussian War put a halt to these plans. The swift German advance and the capture of Emperor Napoleon III disabled France from being able to protect the Pope’s rule in Rome. On September 20, 1870, the Kingdom of Italy captured Rome and annexed it. One month later on October 20, Pope Pius IX suspended the Council indefinitely. It was never reconvened and formally closed in 1960 prior to the Second Vatican Council. St. Pope John XXIII was elected in 1958 and the Second Vatican Council was begun in 1962. Obviously, Vatican II was to be a continuation of Vatican I. 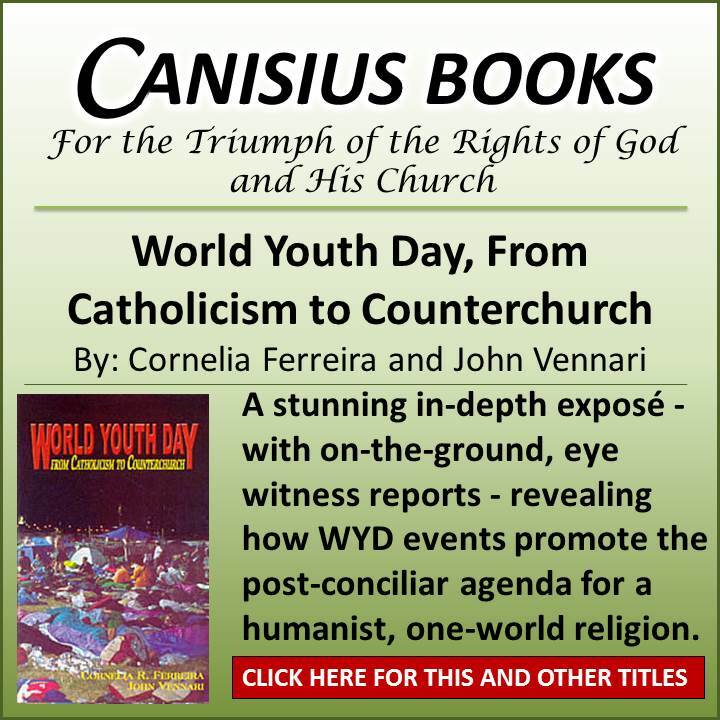 Yet, the time was now ripe, before Tradition set in, to jump on the opportunity by the Modernists, knowing the importance of the moment in history, to change the original direction prepared by Cardinal Ottaviani. How can one take seriously a council that was swarming with the wasps of Modernism? We hear today that Vatican II has not reached its potential and needs further renewal. The dots are out there for all to see. Time has come to join those lines to get a true picture of where we are being led. Personally, I contemplate often the words of Jesus that “the gates of hell will not prevail against it.” I believe those words of course, but too often we find some profound contradictions with dogma and even infallibility now. Gregory – The Life of St. Macrina (FC 58.180; PG 46.983). There’s a rumor that liberal-modernist Schonborn will be replacing conservative-modernist muller as head of the CDF in September. At the end of the day this doesnt mean too much to us who already see how bad things are and who the perpetrators are, but as far the willfully ignorant are concerned this move will likely increase the speed limit on the highway to hell from 65 mph to 105 mph.